Video: Experience the Franschhoek &amp; Stellenbosch Winelands Tour! Video: Experience the Franschhoek & Stellenbosch Winelands Tour! The Franschhoek and Stellenbosch winelands offer some of the most spectacular mountain scenery in South Africa. Add a few of the best wine farms in the world and you are looking at an amazing day out in the country! 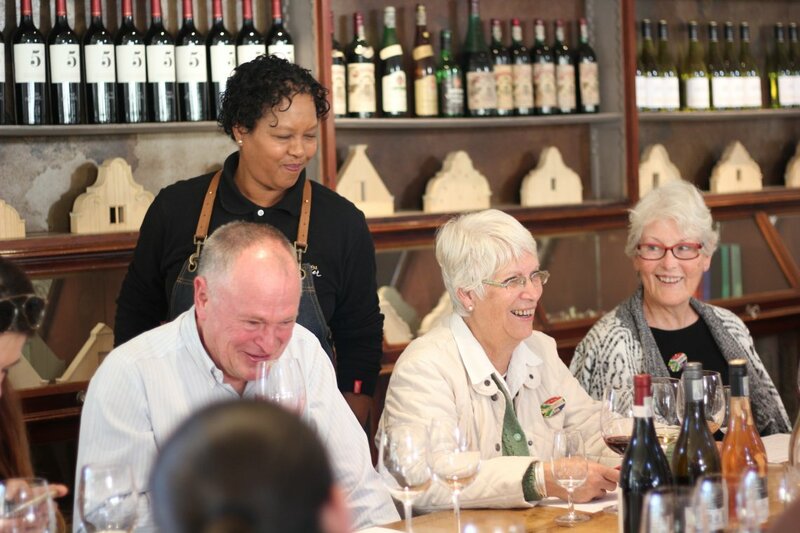 This day tour to the Cape Winelands – which includes a wine and cheese tasting, a cellar tour in Franschhoek and a wine tasting at a Stellenbosch wine farm – is an incredible experience for all wine lovers. Where does the Franschhoek & Stellenbosch Winelands Tour go? The Franschhoek & Stellenbosch Winelands Tour leaves Cape Town in the morning and takes a scenic drive to Bloubergstrand, for an iconic photo opportunity of the ocean and Table Mountain. After visiting Blouberg, you will be treated to a cheese-and-wine tasting and cellar tour at a Franschhoek wine farm. The next stop is Franschhoek, where you will have about two hours to explore the town, enjoy lunch or indulge in an extra wine tasting. Then you will take a scenic drive over the impressive Helshoogte Pass to the picturesque town of Stellenbosch, where you will be treated to the iconic duck parade (time permitting). Afterwards you will visit a Stellenbosch wine farm for a final wine tasting, before heading back to Cape Town. 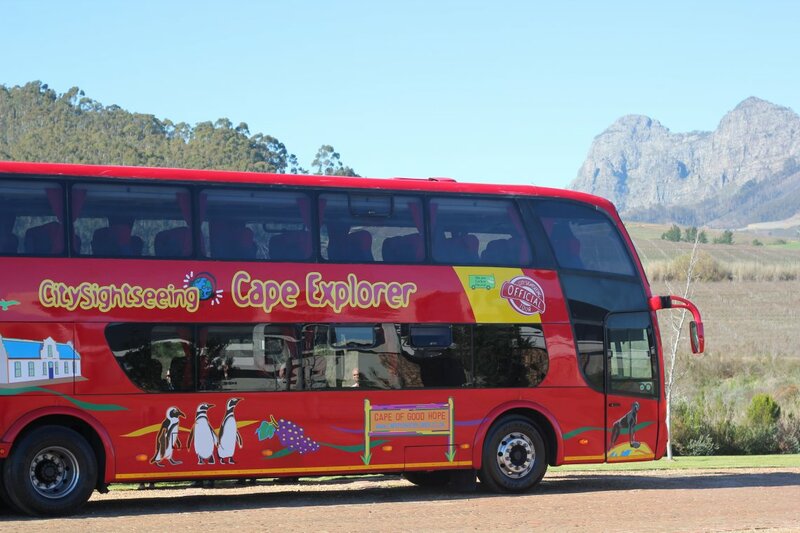 Interested in hopping on the Franschhoek & Stellenbosch Winelands Tour? The Franschhoek & Stellenbosch Winelands Tour runs on Mondays, Wednesdays, Fridays and Saturdays, with staggered departure times from 8.40am from select City Sightseeing bus stops in Camps Bay, Sea Point, Green Point and the city, as well as City Sightseeing tour offices at stop 1 (V&A Waterfront) and stop 5 (Long Street). The return time is approximately 5.30pm. Book online or at City Sightseeing ticket offices. Tickets are also available from bus drivers, subject to availability. When booking, make sure you state your pick-up point. Tickets are only valid for the stipulated day of booking. Cost: R550 for adults (age 12 and up) and R275 for children aged two to 11. Buy online and save: adults pay R530!